Demand forecasting is used by organizations globally to build in efficiencies in Inventory and Order Management helping them maximize profitability by minimizing stock outs, increase order fulfillment rates and inventory turns, optimize holding costs and improve customer satisfaction, retention and wallet share. Market Equations India helps organizations apply extensive analytics on customer, product, transactional, account, service and social data to accurately forecast demand by geography, product (SKU) and store level to optimize their Inventory and Order Management systems internally to maximize profitability. Market Equations developed a Inventory & Order Management predictive model for an E-Commerce fashion retailer in the United Kingdom by forecasting demand by product, store level and distribution centers (by geography) helping them minimize stock outs, improve fulfillment rates, reduce shipment delays and enhance customer satisfaction and retention. Inventory & Order Management services - To build a forecasting model to accurately forecast demand from numerous distribution centers globally thereby, building efficiencies in inventory and order management systems and processes internally. 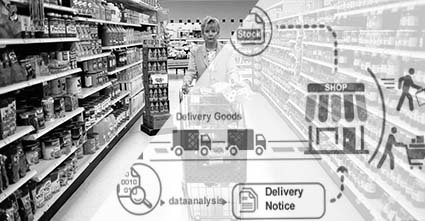 Historical data analysis by product segments, store level and distribution centers (by geography) was performed using a Multiplicative Regression model. Our Inventory and Order Management model achieved an accuracy of approximately 85 per cent within the first quarter with improvements in service levels up by approximately 42%. Our analysts have been working with this retailer for the last 5 years, regularly updating and revalidating the models to ensure maximum returns on their investment through optimum and efficient inventory and order management. Explore how the Market Equations Inventory & Order Management services from India helps organizations achieve efficiencies in order fulfilment, optimize inventory levels, enhance customer satisfaction, retain customers and maximizing profitability. Founded in 2006 and among the first Data analytics outsourcing firms in India, we help organizations apply extensive analytics to harvest and nurture data; uncovering hidden truths and interdependencies that eventually translate to actionable business insights. Market Equations India offer Inventory and Order Management outsourcing services to help organizations apply extensive analytics on customer, product, transactional, account, service and social data to accurately forecast demand by geography, product (SKU) and store level to optimize their Inventory and Order Management systems internally to maximize profitability.